Who is the Kratos Voice Actor in God of War? Learn the identity behind the powerful voice of Kratos in the latest God of War game. Now that the 2018 iteration of God of War has released, many players jumping in are getting their first taste of Kratos, the protagonist of the series. Kratos is an imposing figure, and his voice instantly conveys that he is not someone to be messed with. It’s one of the most powerful voices in gaming, and I instantly had to know who the voice behind the Kratos character was. Who is the Kratos Voice Actor? Kratos has been around through four mainline series entries at this point. From the original God of War, Gold of War II, God of War III, and now the 2018 release of God of War, fans have fallen in love with that powerful voice. However, the same actor has not always portrayed Kratos. In fact, Terrence C. Carson has played Kratos through the first three main games, but Christopher Judge is Kratos in the most recent God of War to hit the PS4. According to Judge’s IMDb profile, he’s been acting since 1990 when he was in Neon Rider and MacGyver, which should give you an idea of how far back he goes. He's most known for playing the Jaffa warrior Teal'c in popular sci-fi TV series Stargate SG-1, acting in 213 separate episodes. Aside from these, he’s also starred in 21 Jump Street (television series), The Fresh Prince of Bel-Air, and even had a small roll in The Dark Knight Rises. If IMDb is correct, he has a total of 58 credits as an actor, which is impressive longevity. Judge also maintains a presence on social media for anyone that wants to keep up with him more frequently. 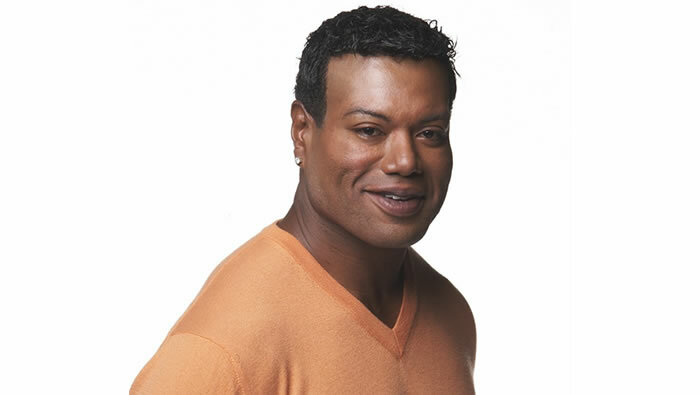 His Instagram and Twitter names are the same: iamchrisjudge. A quick peek at his Twitter page shows that he’s quite proud of being Kratos in God of War. His profile banner is God of War artwork, and his only currently pinned tweet is him confirming that he’s the voice of Kratos. Now that you know Christopher Judge is Kratos, follow along with the rest of Sony Santa Monica's latest journey by visiting our God of War walkthrough and guide. In it are all collectibles, a full quest walkthrough, boss fight guides, and answers to all puzzles and riddles without any story spoilers.